Step into 1942, when the world is at war. The Nazis have developed a series of devastating new superweapons that could obliterate Britain and win the war at a stroke. As MI6’s top agents you’ve been chosen to find and destroy these fiendish inventions before they destroy us. The latest news from HQ is that the superweapons are primed and ready to launch, so you have precisely 60 minutes to discover their location, destroy them and save Britain. The stakes couldn’t be higher – take too long and there won’t be any Britain left to save. Students get 15% off, Monday-Thursday only. Must present valid student ID. Over 60s get 10% off, Monday-Thursday only. Must present valid ID. There were inventive ways to give twists and turns and all of the puzzles and props were in perfect theme…We felt fully immersed and managed to escape with leader board time which was a bonus! We tried the Finest Hour room. It was fab (no spoilers). We solved it with 3 minutes 2 seconds to go. An absolute must for a rainy day in the hols. Nice change from the padlock after padlock type game. Nicely themed and beautifully thought out. All our games take place in brilliantly themed rooms designed with incredible attention to detail. Once the door slams shut you must work together to solve a series of fiendishly clever clues. 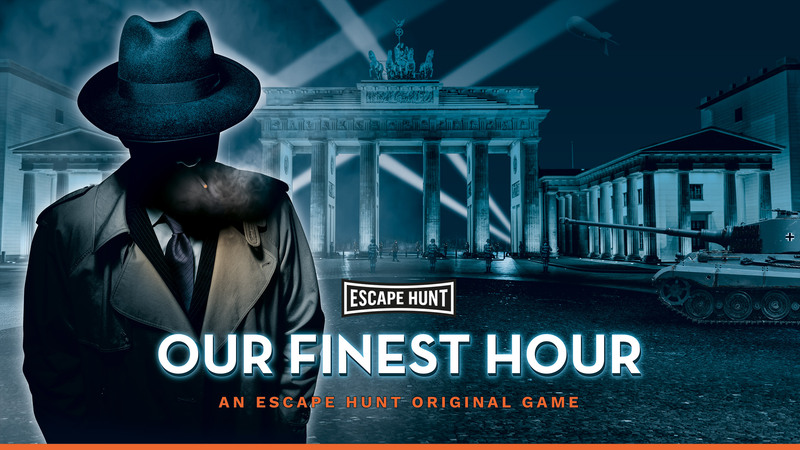 You’ve just one hour of pulse-racing excitement to win your freedom – if you can!